Old-fashioned? I don't think so. 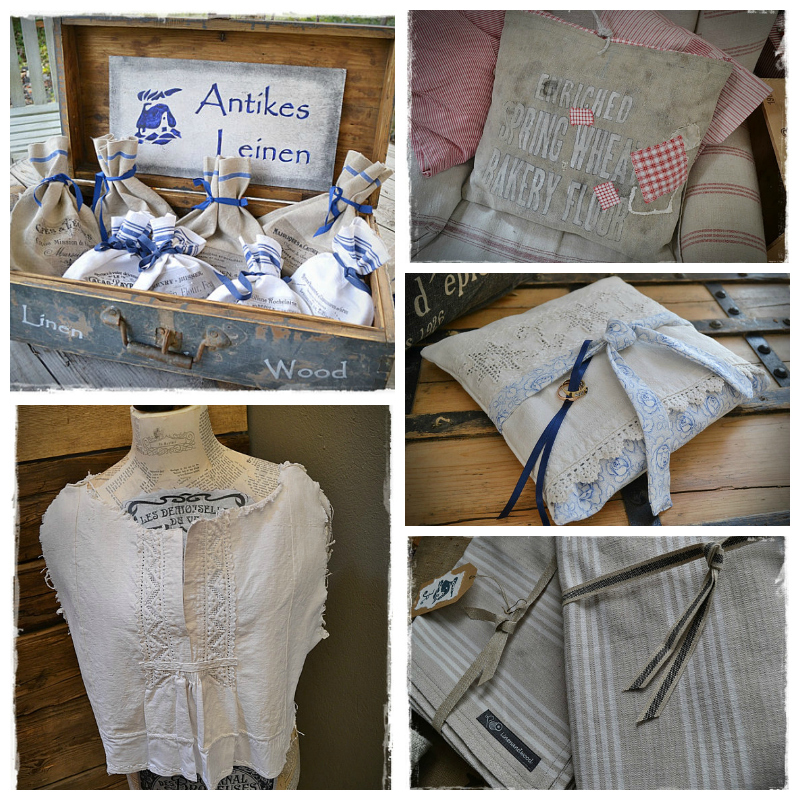 Linen and Wood is all about the love for antique linen, reclaimed wood and other vintage things. From linen cushions made of antique grain-sacks straight to traditional vintage dresses these textile treasures spruce up your home (and you) in styles reminiscent of yesteryear! Those are the moments I'm sad that I don't really own any "old" things from my grandparents which I could upcycle. Obviously that makes it even more wonderful to find such antique treasures in this lovely shop. You know, I really REALLY need to go through the boxes from my grandma which are stored in the garage. I'm fairly certain there is mostly junk inside, but probably several vintage pieces too (I doubt there will be any fabrics though). I'll put this on my list for stuff to do next spring!